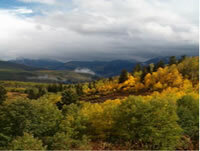 The Rocky Mountain Region manages 17 National Forests (NF) and 7 National Grasslands (NG) throughout Colorado, Kansas, Nebraska, South Dakota, and most of Wyoming. 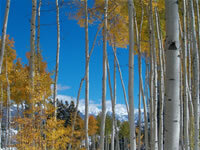 Throughout the Rocky Mountain Region, hints of things to come can be found in the high country. 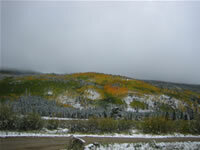 The careful viewer can spot many of the signs of the impending color change. 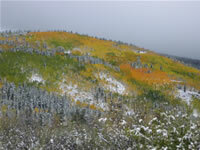 With favorable weather conditions, the color should continue to intensify during the next 3 weeks. 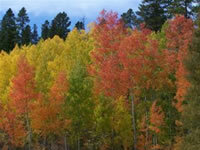 With even a little more luck from the weather, there could be good color into the second week of October in some areas. 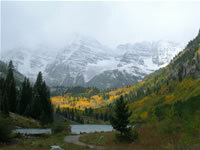 This page will be updated weekly with reports from each of the National Forests in the Rocky Mountain Region. You will be able to get more information about each Forest by clicking on the Forest name below and you will be taken to that Forest's report page. 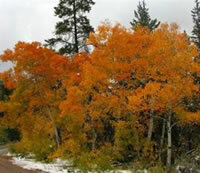 You can click on the link above for the National Fall Color Report Web site to see reports from other parts of the country that are entering their fall color season. 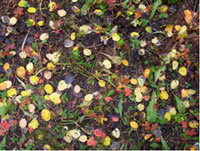 To listen to the National Fall Color Hotline Report, click on the link above and follow the directions to hear an audio report of fall color conditions across the country. Bring a camera! Be prepared for variable driving conditions. Carry some water with you and bring extra clothing and rain-snow gear as temperatures can vary between 30-60 degrees depending on time of day and elevation. - Click HERE for current information such as road conditions, fire restrictions, safety information, etc. HUNTING SEASON IS IN FULL SWING! 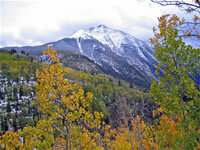 Arapaho-Roosevelt NFs and Pawnee NG: Located in north-central Colorado. 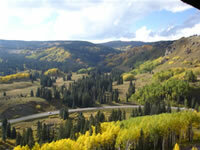 Grand Mesa, Uncompahgre & Gunnison NFs: Located in the central and southern Rockies along the Western Slope of Colorado. 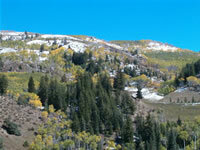 Pike-San Isabel NFs and Cimarron NG: Located in central to southern Colorado and southwestern Kansas. 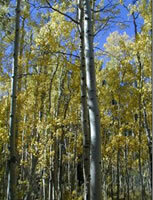 Rio Grande NF: Located in southwestern Colorado. 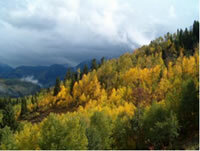 Routt NF: Located in north-central Colorado. 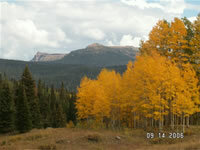 San Juan NF: Located in the southwestern corner of Colorado. 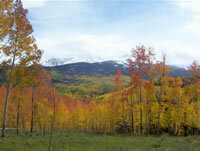 White River NF: Located in central Colorado. Comanche NG: Located in southwestern Kansas. Nebraska NF, Samuel R. McKelvie NF and Oglala NG: Located in central and western Nebraska. 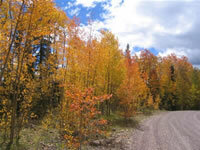 Black Hills NF: Located in southwestern South Dakota and northeastern Wyoming. Buffalo Gap NG: Located in central and western South Dakota. Fort Pierre NG: Located in central South Dakota. 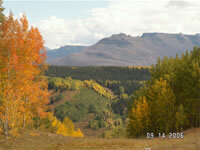 Bighorn NF: Located in north-central Wyoming along the Montana border. Medicine Bow NF and Thunder Basin NG: Located in central Wyoming. 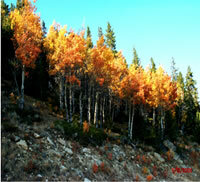 Shoshone NF: Located in central Wyoming.